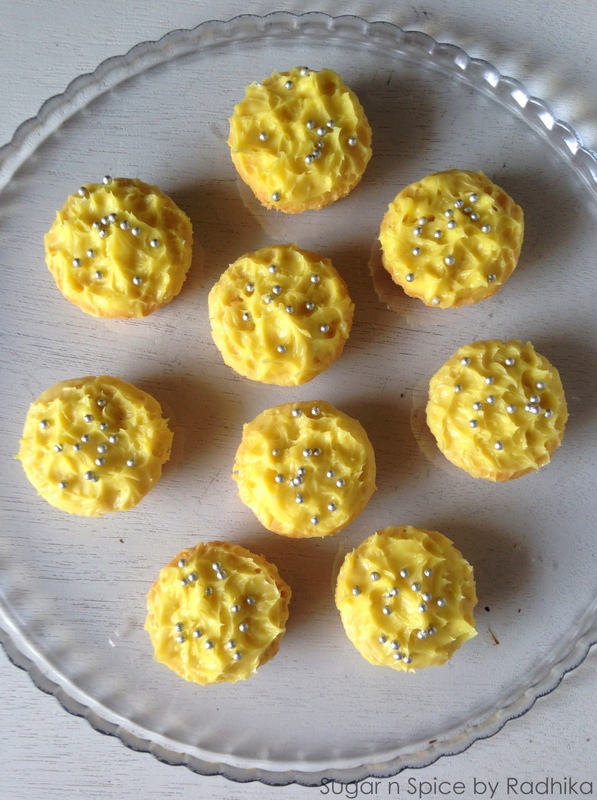 These moist egg less Lemon cupcakes are so light and delicious, the lemon icing makes them taste even better! 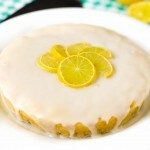 Spring is here and so is my obsession with lemon cakes! 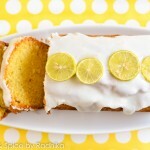 My most popular recipe on the blog is my eggless lemon drizzle cake and I believe its because it has no eggs. I wanted to replicate that recipe only I jazzed it a bit with my lemon icing which is more like lemon buttercream. The result, you ask!? 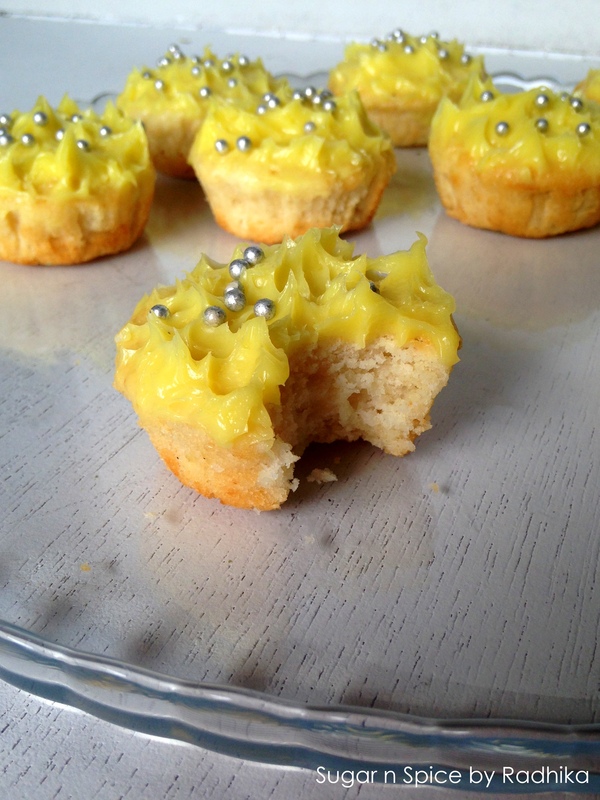 Luscious lemon cupcakes with rich tangy icing.. A perfect spring weather fix! I’m always up for substituting eggs so that everyone can enjoy my food, in this recipe I have substituted eggs with buttermilk, the best substitute for eggs. Unless of course you’re adding eggs for leavening (or making cakes rise) in that case, stick to eggs! 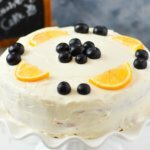 I’ve used buttermilk in a lot of my recipes and I have never ever been disappointed with the results. 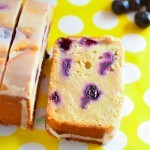 Buttermilk makes the cakes moist without imparting any taste and you can make it almost instantaneously. 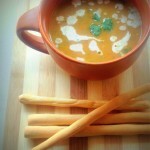 For this recipe you need half cup buttermilk which is approximately 120 ml. To make buttermilk instantly, heat 120 ml of milk and add in the juice of one lemon to it, continue heating until the milk curdles. After the milk has curdled, sieve out the fat and the remaining liquid is your buttermilk which you can use as a substitute for eggs in all cakes and cupcakes. 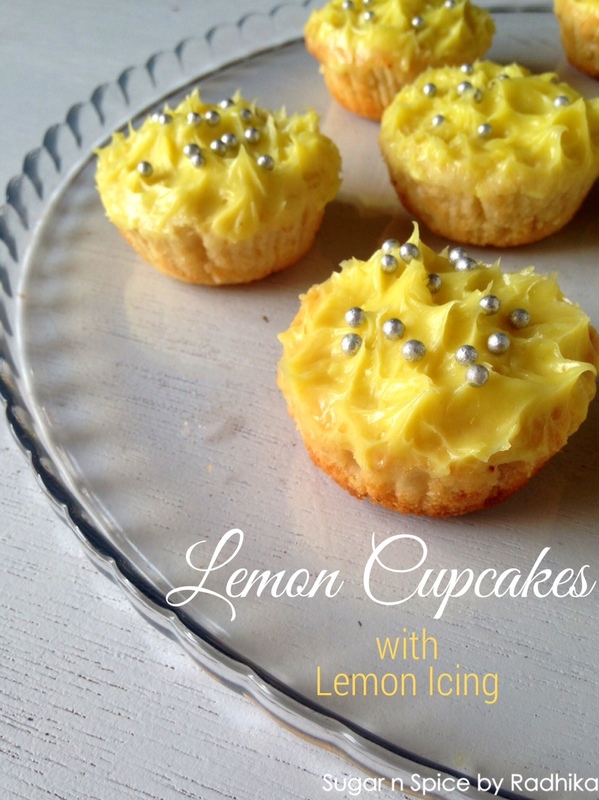 RECIPE: Lemon Cupcakes with Lemon Frosting! Silver balls for decoration or sprinkles. Whisk butter until light and fluffy. When the butter turns pale yellow in color add in the sugar and whisk again until the mixture is light and fluffy. tray with paper cups to ensure that the cupcakes don’t stick to it. Bake at 180 degree Celsius for about 20- 25 minutes or until well risen and slightly golden. 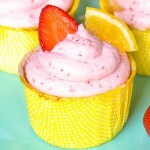 Insert a skewer in the center of the cupcakes and if it comes out clean with a few crumbs then your cupcakes are ready. Let them cool on a wire rack whilst you make your icing. 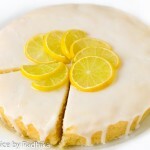 For the icing, whisk butter until light and fluffy, add in the icing sugar, lemon juice and lemon zest and whisk again until everything is combined and the icing looks fluffy. 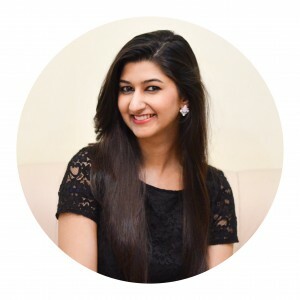 You can connect with me on Pinterest, Instagram, Facebook and Google Plus for regular updates! Radhika, incase I can’t put all the cupcakes at once in the oven is it ok to keep them until the first batch is done. 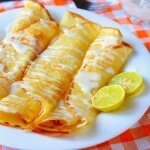 Im always looking for egg substitutions and i love the idea of buttermilk! How could i go about with measurements though? What quantity of buttermilk would substitute 1 egg?